"La mode tyrannique du talon aiguille règnera, omnipotente, pendant les années soixante, avec cepedant un curieux contrepoint que fut, pendant une saison, la chaussure sans talon." "The fashion tyranny of the stiletto reigned supreme during the Sixties, with a curious counterpoint that was, for a season, the heelless shoe." 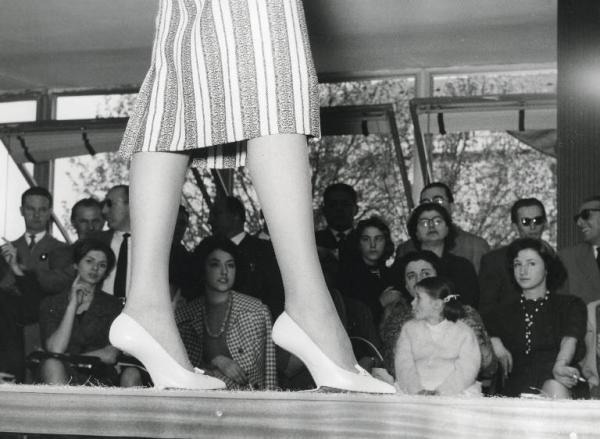 Well, for a season or two: the fashion of the heel-less shoe based on a cantilever system was the sensation at the turn of the Fifties and Sixties. Even if it's true that it didn't last long, Hayraud forgot to say that the idea is resurrected from time to time. 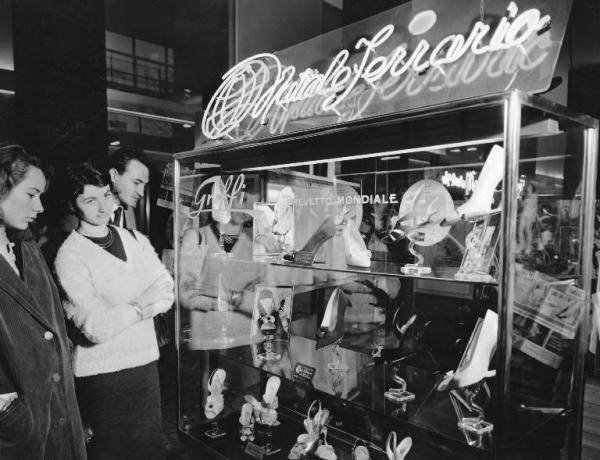 He also didn't mention that Préciosa used an Italian patent, however, on the sole of the sandal published in his book we can read "Italy Gr...", meaning shoe inventor Romeo Griffi (1958). More about Griffi's idea here. It goes without saying that the goldmine of Italian shoes known as Dutch Leather & Shoe Museum (Nederlands Leder En Schoenen Museum) hosts in its collection two Italian heelless, one from Ferrario and the other from Marazzini (both from Parabiago's Milan). 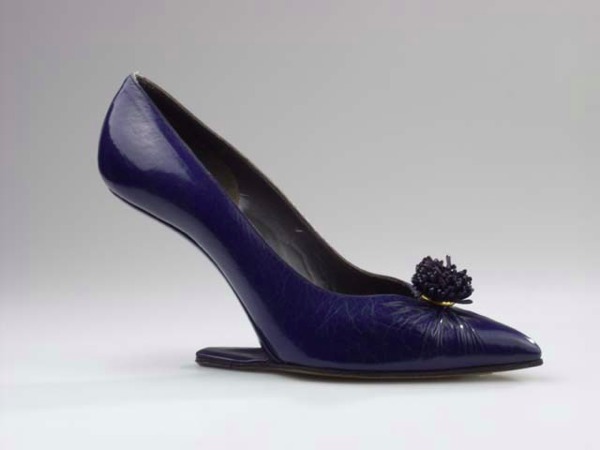 Another TH favourite - Russia's Shoe Icon - sports a very rare Salvatore Ferragamo's Florentina's (below). Our (SHOE ICONS) collection of cantilever shoes contains three pairs manufactured, as printed on the label, under the licence from Griffi, As I found out later, Romeo Griffi was granted a UK patent for cantilever design on June 10, 1958. US patent US2958962 (A) was issued in 1961. 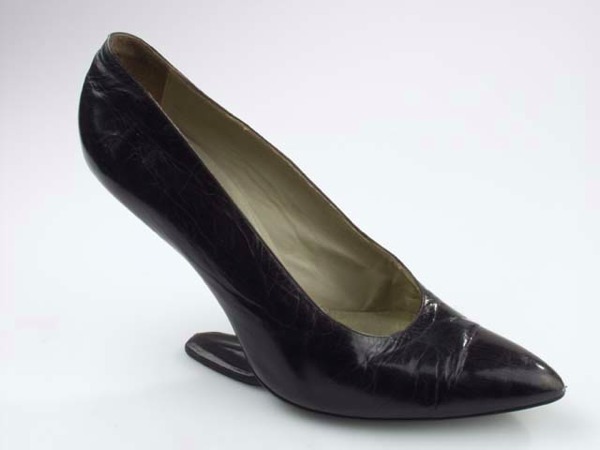 Heelless cantilever shoes under the licence of Griffi were produced in Italy by companies like Natale Ferrario and some were made expressly for Kempners - well-known shoe store in Little Rock, Arkansas. Tricks Of The Eye is a very thorough research from the very first heel-less (Perugia) to the countless variations over the years. It also made clear that the MET date of the Chas A. Stevens hell-less needs to be amended.